Business alarm for the house OR company in Locust Grove, GA.
A robust business alarm is no longer an exclusive thing of big business owners. Whether at home or at work, the measures available to keep you safe are more abundant today than ever before. But, what does that mean for each unique proprietor? Burglar alarms, even the most elaborate systems marketed to business owners, have been priced down in the market and are being installed more frequently in properties of all types. The graying line between “home” and “business” as more people work from home and open small businesses has further encouraged this shift. Taking advantage of today’s best security options is a no-brainer for many property owners. But if you are still unsure, or what to learn more about the potential applications of a business alarm for the house or company in Locust Grove, GA, you’ve come to the right place. Whether installing a corporate security alarm in your home or your business, there will be some extra considerations to take into account. That said, bear in mind that if you work from home, or manage a smaller property for your local business, some of the “home” considerations might just as well make sense for your business. What’s been happening in your neighborhood the last 5 years? 10 years? Are there any specific trends in theft? 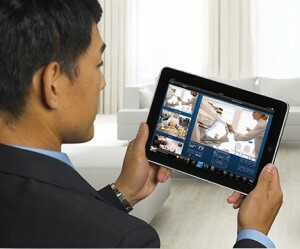 Have you considered camera surveillance in addition to alarms? Are your fire alarms up to date? Alarm installation is an opportunity to update and integrate! Do you even know what your risks are? Burglary? Internal theft? Digital property? Have you considered conditions monitoring? Have you considered intellectual property? You’ll be surprised how affordable these systems can be for your business or home. And, what’s more, to cash in on the best expert knowledge of the area, Advanced Security and Fire can consult with you on trends in Locust Grove to keep you that much safer. Local knowledge and experience is something national companies can’t compete with. Part of the security you need is the peace of mind that you have a professional and a neighbor down the street who’s watching the same nightly news, and with the expertise for Locust Grove that leaves you with consultation in the greatest context. Call Advanced Security and Fire today to learn more about your business alarm solutions today!